Book Fayre: New books of all genres will be available to buy. Great Kimberley Book Read: The climax. 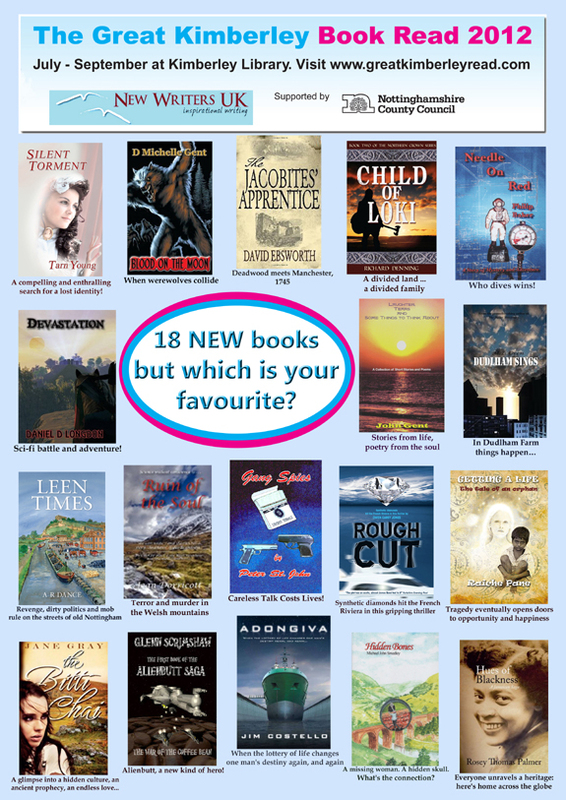 Over the past few months, the readers of Kimberley have been voting on their favourite book, from 18 titles featured at the library. Find out which they have declared the winner. Anna Soubry MP presents the prize. Meet the authors: About twenty authors will be on hand to have a chat about writing, publishing, or any other matter you might care to raise. Reading: Rob Hann & Howard Barton will be reading from the award winning children’s book, The Grumblegroar. Farmers’ Market: Various stalls and a live band. Fancy Dress Parade: Children dressed as characters from literature. Cheerleaders. The singing of the Book-Worm song. Shop window display competition: Several retail outlets in the town have been decorating their store fronts in an attempt to win. The best literary offering wins. Refreshments and parking is available throughout the day.